Yogurt, which is almost always guaranteed to be better once you leave the U.S., is particularly wonderful in Britain. The brand name Rachel’s makes Gooseberry, Rhubarb, and Apple Cinnamon Yogurt that cannot be missed. Rankin is brand of packaged baked goods that makes particularly good Irish Brown Soda Bread and Potato Farls. Potato Farls are a flatbread made with potato that while slightly dense, feel light when toasted. The Irish Brown Soda Bread is great with orange marmalade and butter, or berry jam and dipped in yogurt. Both are delicious toasted with smoked salmon and white cheese (cream cheese, farmer’s cheese or even goat cheese). Muesli is another product that you’d be hard pressed to find much of in U.S. supermarkets. I often find granola too sweet and muesli to be a great low-sugar alternative. The brands Jordans and Dorset are both quite good. British cheeses are particularly wonderful and shockingly inexpensive compared to cheese in the U.S. Stilton is a must as well as domestic sharp cheddars and double Gloucester. To get a sense of all the types of cheese that the U.K. has to offer, check out this site created by The British Cheese Board. In an unmarked location near Arnold Circus, inside a converted old bike shed on the grounds of a primary school is a fantastic lunch spot. The menu changes daily featuring simple, fresh cuisine and the discreet setting makes you feel as though you’ve been invited to a secret supper club…except for lunch. I went with my 4 month old daughter who fell asleep just as we entered, a gift to her weary mother who definitely needed a grown up dining experience. We were first introduced to Moro in 2004 when our dear friends Jamie and Magali visited us from London and brought us the Moro cookbook as a housewarming gift. They used it to make one of the most delicious home cooked meals I have ever had; I can still remember the menu: carrot and cumin salad with coriander, feta salad with spinach, crispbread, sumac and pinenuts, and roast chicken with harissa, topped off with a bottle of sherry. Only somewhat familiar with Spanish and Moroccan cuisines, I felt totally in awe of what Moro describes as Moorish cuisine, or that of the southern Mediterranean. Our friends promised to take us the next time we were in London and we’ve managed to go back every time we’re in town. Conceptualized by a couple Sam and Sam Clark, the food is warming, creative and perfectly executed. It’s one of those places that’s curated in such a way that you find yourself admiring the weight of the silverware and wishing you could swipe the salt pinch off the table. Check out my post on Moro’s Fish Tagine for a sample. Quite literally anything Yotam Ottolenghi touches is gold. It’s fair to say that I am so completely obsessed with this chef that I can hear his voice as I type this – the result of watching every travel/cooking show he’s produced in the BBC’s Channel 4. The way Ottolenghi pairs flavors and creates unique, fresh and unbelievably tasty food is genius. He’s got several restaurants in London, and on each of our trips I’ve made every attempt to stop by at least one. He’s got several “delis” which display all of their dishes, luscious baked goods and ready-prepared salads and meats right when you walk in, and an á-la-carte restaurant called NOPI in Soho. All of Ottolenghi’s food is Mediterranean focused with subtle references to the East with ingredients like ginger, nori and chili sauce. Fortunately, for those of us who can’t live on the doorstep of one of these restaurants, he’s got several wonderful cookbooks that live up to his iconic style; Jerusalem in particular is fantastic and can be found almost anywhere. Our little family is obsessed with Turkish food. We’ve made several trips to Turkey and dream of bringing our daughter to Istanbul one day. The same dear friends who introduced us to Moro, used to live in north London very close to Green Lanes, a well-established Turkish neighborhood. 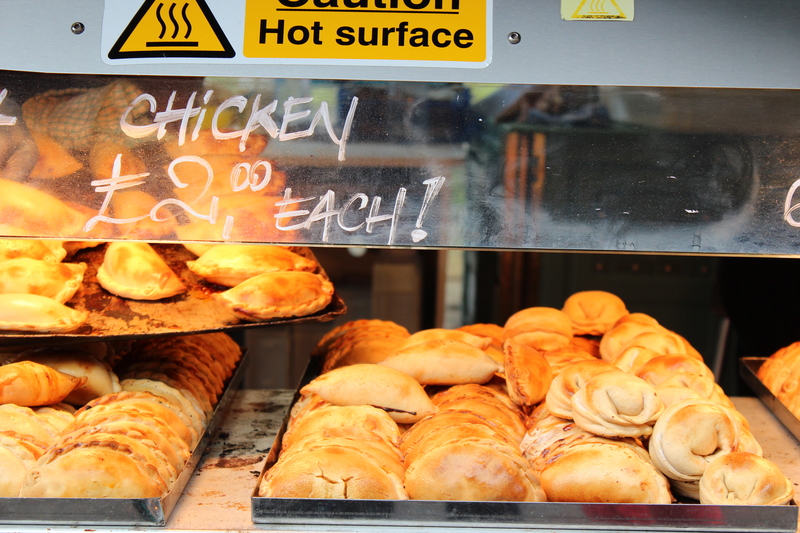 While the strip of Turkish businesses is not very long, roughly between the Turnpike Lane tube stop and Finsbury Park, it’s a fun place to stroll with wonderful green grocers offering fresh veg and other Mediterranean specialties, great restaurants, and bakeries. The food that we had along Green Lanes, everything from shepherd’s salad and Ezme (spicy red pepper salad) to Kofte made with ground lamb and bulgur, and freshly grilled kebap were outstanding. I don’t have a specific restaurant in mind because we tried so many that were good. I’d probably just say to go to the most crowded one you find. Don’t leave without some baklava, even if it’s in a take-away box. 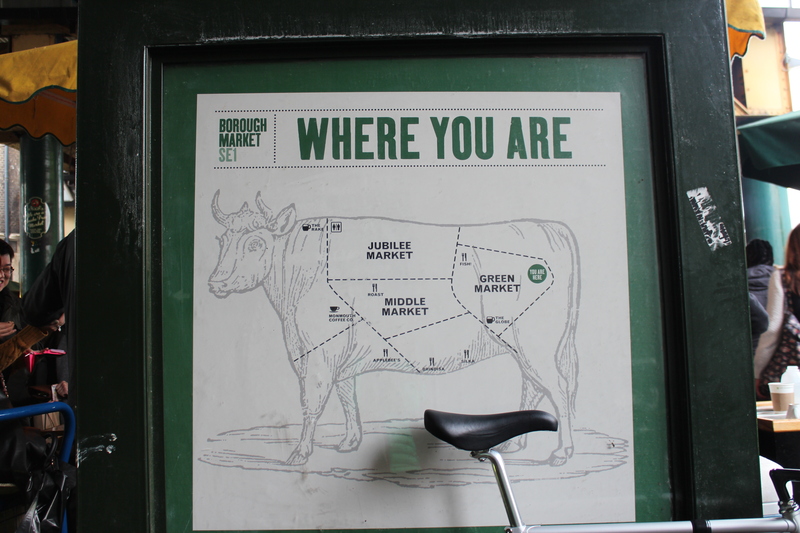 I’ve been meaning to ask a Londoner whether they feel that Borough Market is more geared toward tourists or locals. I say this, because it feels like such a food lover’s playground that it’s hard to imagine someone popping out of work for a quick take-away of artisanal charcuterie and a mini burrata on a savory cone. 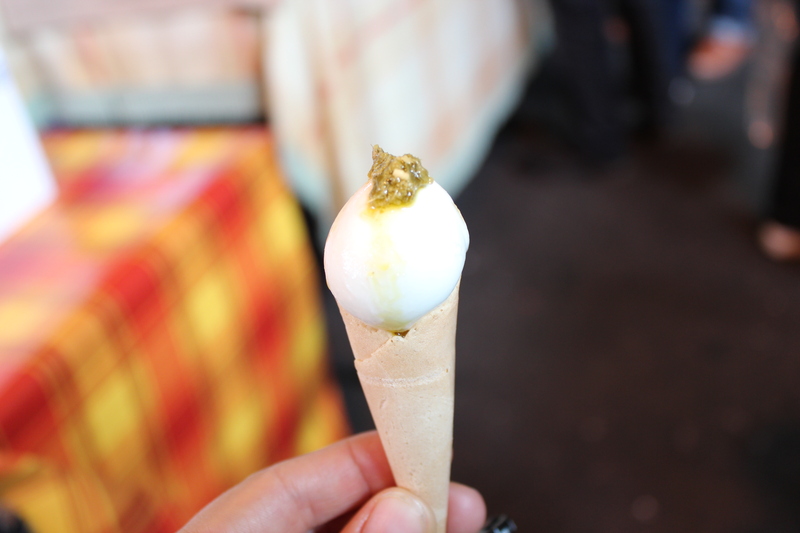 But walking through the bustling aisles you do get the sense that Borough Market is indeed everyone’s playground, and therefore should not be missed. 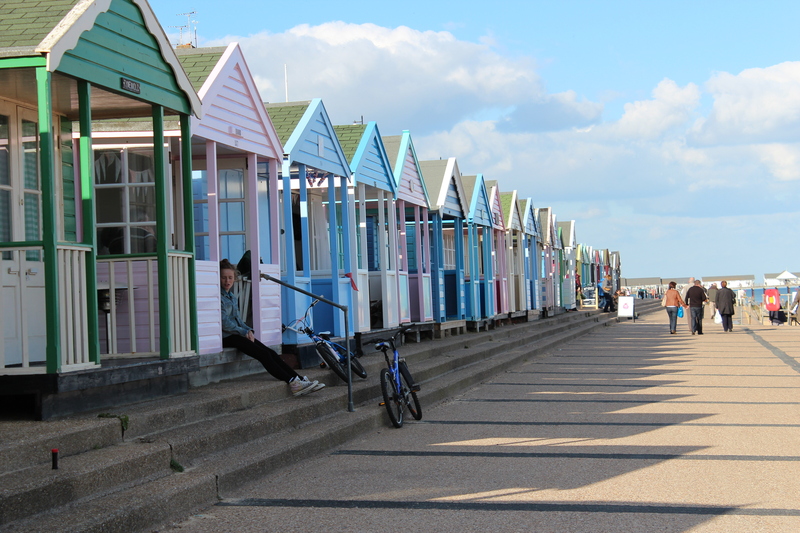 Because we spent the majority of our time outside of London, I thought it might be useful to share two of our other favorite places in Cambridge and Southwold. Cambridge: Strolling around with my baby in “buggy” on crisp autumn afternoons, I managed to check out many of Cambridge’s gastropubs. For its combination of cozy atmosphere, thoughtful and reasonably priced fare, and youthful, alternative vibe, I’d have to say that the Punter was my favorite. The menu changes daily and included some very tasty mussels, duck confit with warm chicory salad, and deliciously rich cassoulet. 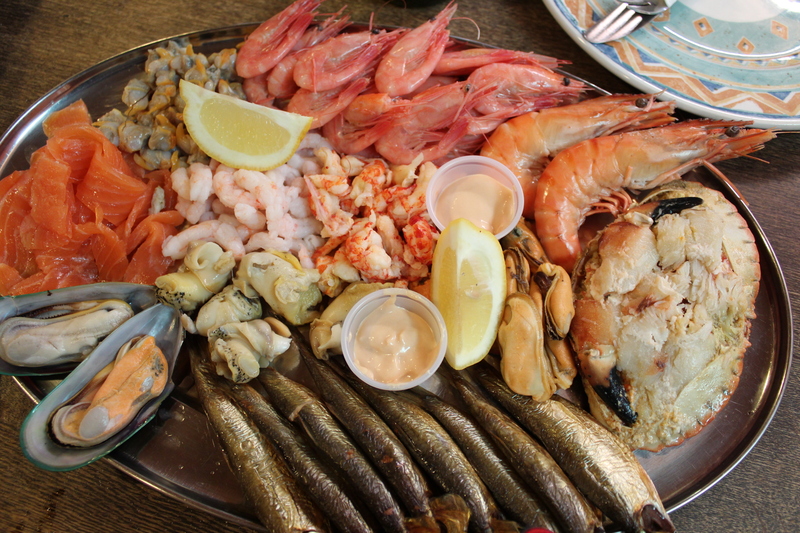 Southwold: One morning in Cambridge we decided to take a drive to the coast and based our destination on where we might find fresh seafood. Though I’m sure the town of Southwold feels quite different in the summer, in mid-October is still felt like a destination spot for those seeking a breath of fresh salty air and a stroll along the beach. Sole Bay Fish Company was a bit off the beaten path. Half fish shop, half restaurant they offer straightforward platters of seafood and smoked fish, which was exactly what we wanted. They encourage you to bring your own bread and wine, which all contributed to a perfect seaside afternoon.